An important note: the New Testament has two words to describe the office of leadership: bishop (overseer) and presbyter (elder), and in the New Testament the two are interchangeable: “overseer” focuses on the task and “elder” focuses on the requirement (age and wisdom). However, among the presbyters, one is “first” (as in “head” or “chief”), just as among the Apostles one was “first” (Peter). James “the Lord’s brother” was not just a presbyter in Jerusalem but also the “first” and leaders among them. This is the pattern in all the Churches since the Apostles: a body of presbyters, among which one is now called “bishop,” assisted by deacons, all of them ordained to serve God’s people. A bishop is a presbyter chosen to be consecrated by the nearby bishops (at least 3 of them) to be the leader of the local Church. Another important note: in sound Orthodox theology, the bishop (or first presbyter) is the one who holds the place of Peter in the Church, whereas the presbyters symbolically succeed to the Apostolic college. In the Latin (Roman Catholic) understanding, the Church is a universal (worldwide) organism and only the Pope holds the place of Peter, whereas the bishop succeed to the Apostles. Where’s that in the Apostolic and Early Christian age? “It is possible, then, for everyone in every church, who may wish to know the truth, to contemplate the tradition of the apostles which has been made known to us throughout the whole world. And we are in a position to enumerate those who were instituted bishops/overseers by the apostles and their successors down to our own times, men who neither knew nor taught anything like what these heretics rave about” (Irenaeus of Lyons, Against Heresies 3:3:1 [A.D. 189]). 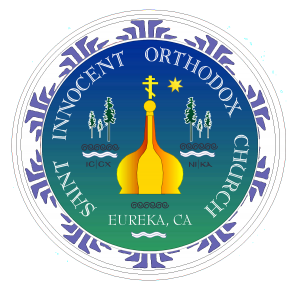 The leader of our Church (diocese) is Archbishop BENJAMIN of San Francisco and the West, in the Orthodox Church in America and in communion with the worldwide Orthodox Church. He was born in 1954 and was baptized and Chrismated at Holy Virgin Mary Cathedral, Los Angeles, CA on April 27, 1972. In 1982 he was awarded a Master of Divinity degree and Certificate in Liturgical Music from Saint Vladimir Seminary. A prolific musician, he served as choirmaster at parishes in Detroit, MI and Los Angeles and as chairman of the Orthodox Church in America’s Department of Liturgical Music. He was ordained to the Holy Diaconate on November 15, 1987 by Bishop Tikhon at his home parish, which he served for 10 years as deacon and youth and education director. The following year he was tonsured a riasophore monk by Bishop Tikhon and further tonsured to the lesser schema by Archbishop [now Metropolitan] Herman at Saint Tikhon Monastery, South Canaan, PA. In 1991 he was elevated to the rank of archdeacon. Archbishop Benjamin was elected to the episcopacy by members of the Holy Synod of Bishops at their Spring Session in March 2004. His Beatitude, Metropolitan HERMAN presided at the consecration of Archbishop Benjamin [Peterson] to the episcopacy at historic Holy Trinity Cathedral on Saturday, May 1, 2004. Archbishop Benjamin was elevated to the rank of Archbishop on May 9, 2012.